Where to go in Africa and when? Where to go in Africa will require you to answer a few basic questions on what you want to see, what your budget is, what time of year you’d like to travel and whether you are going with children. There is plenty of diversity among southern and east African countries, and landscapes, animals, and customs vary wildly. Your budget and needs will largely determine the best place to visit. Pure safari experiences and big budgets will allow Tanzania, Kenya, and Botswana (especially the Okavango) with some beautiful lodges and luxury safaris. Smaller budgets and a desire to also visit Cape Town, Victoria Falls or Mauritius would lead you to South Africa and Zambia. Traveling with children will also point you to South Africa, as there are plenty of malaria-free reserves and easily accessible lodges. Let us begin by breaking down the best features of each country according to your safari needs. Where to go: The Serengeti and Masai Mara (Tanzania and Kenya). These are the parks where the great migration happens. Millions of wildebeest, zebra and other plains game make the annual trip between the Serengeti and Mara. Look out onto far-reaching plains, Mount Kilimanjaro and the many magnificent animals. When to go: June to September. June to September is the dry season, and also when the migration peaks — the best time to see wildebeest making the arduous crossing of the Grumeti River. Where to go: Okavango Delta and South Luangwa (Botswana and Zambia respectively). 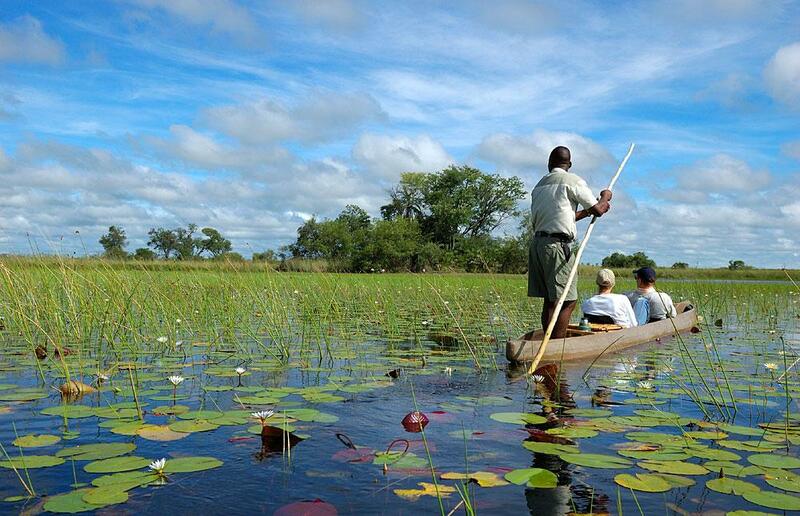 The famous delta is mostly swamp and water, with many safari trips taking place on boats and mokoro (a wood canoe). Most camps here are not accessible by road, keeping visitor numbers low and the swamps pristine. The Okavango is known for fantastic game viewing and an unparalleled water-based safari. It is not advisable to bring young children here, as safety risks with mokoro trips increase with younger kids. 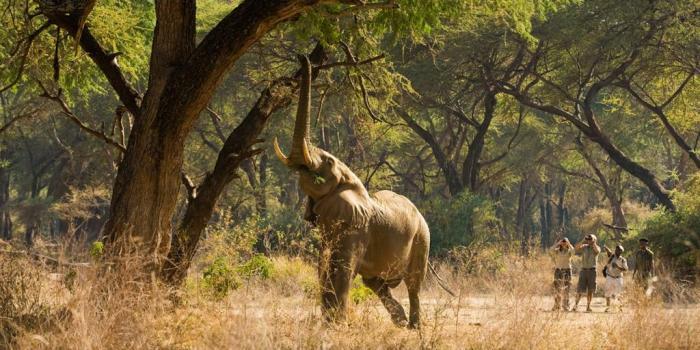 The South Luangwa, one of the most pristine parks on the continent, is known for large numbers of leopard and elephant, and remote beauty. Parks are well-spaced, making safari experiences peaceful and uninterrupted by other vehicles. Be sure to do a walking safari here, in the place it originated. When to go: For Botswana, the Delta’s water level is highest from June to August; if you are keen for boating, this is the time to visit. If you’re more concerned with seeing significant numbers of animals gathered, visit during the dry season in September and October. In Zambia, May to October is best for viewing animals, as this is the dry season. However, if you also want to take a trip over to Victoria Falls, consider going March to May to see the falls at their fullest. You want A family trip – ideally close to cities and to be able to conveniently add a trip to Cape Town, the Winelands, Garden Route or Mauritius. Where to go: South Africa’s major parks and reserves. South Africa has a wealth of options when it comes to game parks and private reserves. The famous Kruger is easily accessible from Johannesburg, as is the Pilanesberg and Madikwe (both malaria-free). If you are keen for a Garden Route trip, Winelands stay and a few days in Hermanus, consider Sanbona or Shamwari. However, parks in the north (including Kruger and Kapama) are a short flight away too. Some hotel groups also offer Mauritius add-ons to trips, making it convenient and good-value to visit the island before or after a safari. When to go: May to September for game viewing; low tourist numbers and animals gathering close to water sources make for productive safaris and an authentic experience. May is also great for Cape Town weather, with calm winds and pleasantly warm days. Where to go: South Africa. If you want the Big 5 without worrying about malaria, take your pick from Madikwe, Pilanesberg, Shamwari, and Sanbona, among other parks. All of these options provide excellent safaris, with lion, leopard, elephant, buffalo, and rhino, as well as many many other species. If you have small kids, consider Shamwari or Sanbona as they are also close to major centers and mean fewer long car trips. The accessibility and general price range of lodges in South Africa are adaptable to many budgets, and you can get good quality, comfortable lodging for the best prices in on the continent. Where to go: Malawi. One of the continents more underrated safari destinations, Malawi has excellent wildlife viewing opportunities and some incredible destinations. Visit Lake Malawi for stunning views, luxury beach-style accommodation and friendly locals. It’s slowly building an excellent reputation for safaris, with eco-friendly trips available in rehabilitated game parks and reserves. When to go: Beginning of May to late October. Game viewing is best, and weather on Lake Malawi is beach perfection, with warm, dry days.